With a view to produce complete professional.ls and holistic individuals, DES’S SNFLC has been instrumental in providing access to the students to potential employers and the finest of the related opportunities in this regard. Besides giving quality education, the college also endeavors to make students enthusiastic and optimistic about the profession by a systematic process and activity driven approach like encouraging the students to participate in various research based activities which help them acquire in-depth knowledge in various fields, articulation of thoughts on various issues at hand, working with team spirit and time management. The Placement Committee works as a link between the recruiting forces and students. 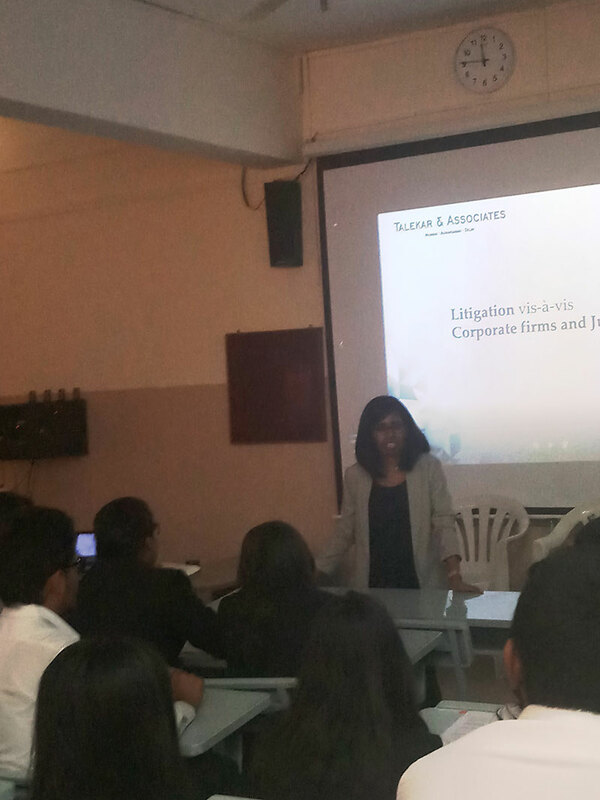 The committee helps the students get opportunities to work with leading Law Firms, LPO’s and Corporate. This year with the help of the students coordinators Ramneet Arora Vth BSL.LL.B , Purva Tatke Vth BSL.LL.B, Konark Gupta Vth BSL.LL.B and Bharath Senan Vth BSL.LL.B actively coordinated the programme for the semester the placement cell had a smooth functioning. 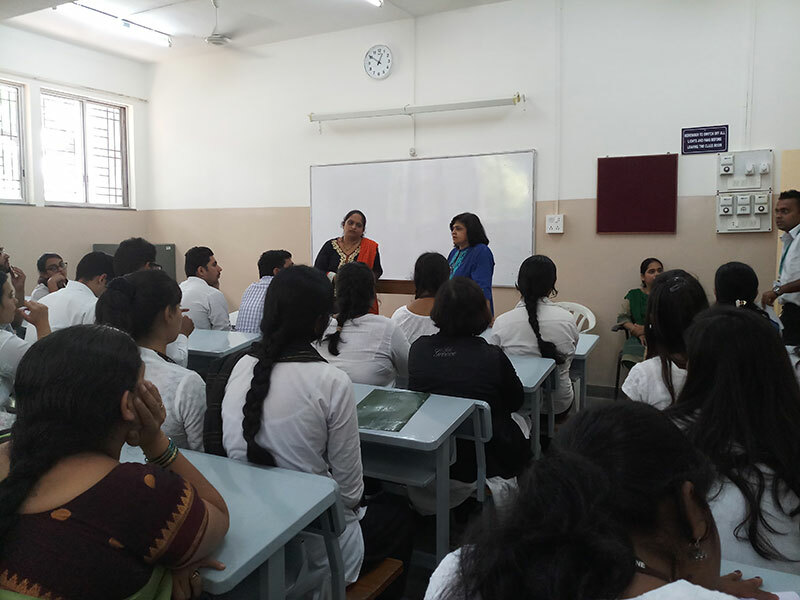 At the very beginning of the semester the placement cell had organised a session Career Options and Career Facilitation In Law.. by Ms. Nandini S. Kotharkar asst. Professor and coordinator Industry Institute Interaction Cell. DES’s Fergusson College, Pune. 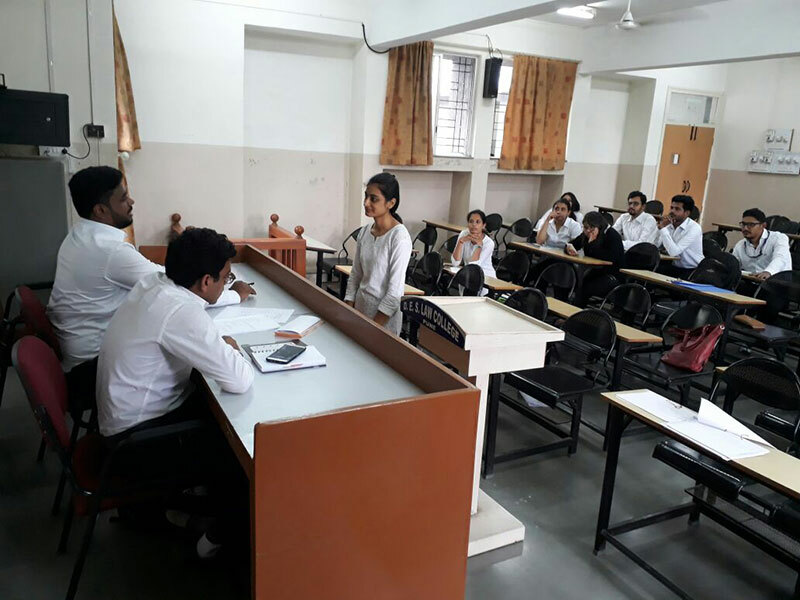 The outcome of the session was that the students were benefited with the knowledge shared that there are many opportunities in law at service industry. 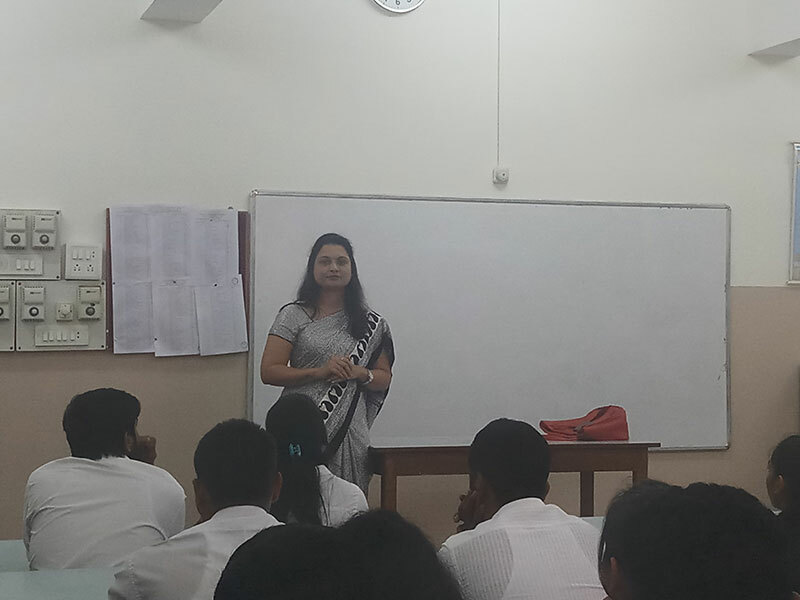 The second semester began with a zeal and enthusiasm, by a brain storming session of Prof Sheetal Babar on Curriculum Vitae Writing and Career Options In Law which provided insight to the students that there must be a strong building of Curriculum Vitae and its importance in getting a good prospects. Apart from this on students demand there was a Training Programme organised by the college on “Communication Skills and Language Skills”. 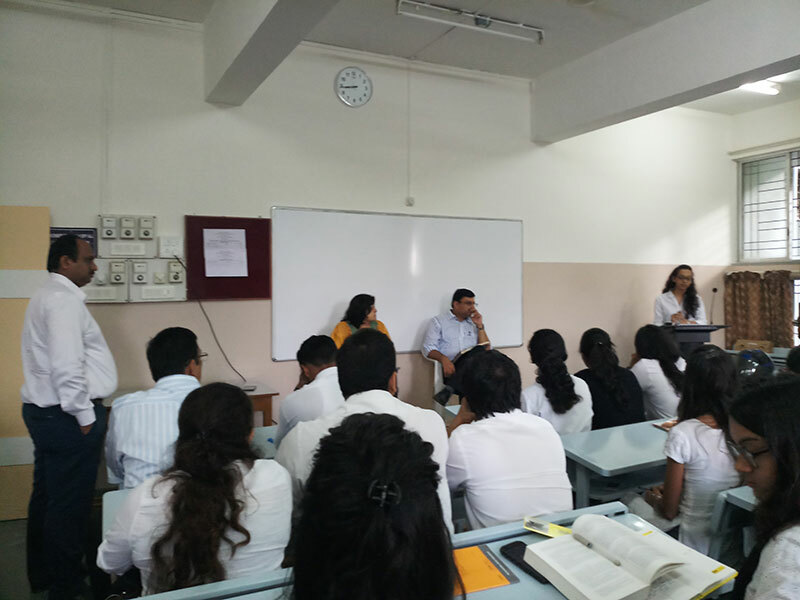 Which was chaired by two renowned speakers Dr. Shridhar Gokhale and Dr. Mangala Herkal (Bhargav). The speakers gave insight on the importance of Communication in the field of law and effective communication helps in boosting the confidence. The training session also gave a platform to the students to get the answers to their queries in respect of the communication a need for placements. a. Campus Visits: Amongst the above mentioned Companies, Law Firm and LPO’s Mindcrest Talekar & Associates Visited the college For Campus Placements. LPO’s Mindcrest Company Online Tests were conducted for 20 students out of which 13 students were shortlisted for the second round of online tests. College has established the placement and mentorship cell which has the well organized structure. The committee comprises of Faculty Coordinator and students members.